Petit Monde unveils new collections at PH Fashion Week! Filipino apparel brand Petit Monde gets ready for the runway as it marks its first appearance at the Philippine Fashion Week with a fashion show to unveil four exciting new collections from the homegrown label. Slated on Oct. 23 at the Mall of Asia Atrium, the fashion show is headlined by endorser Maja Salvador. 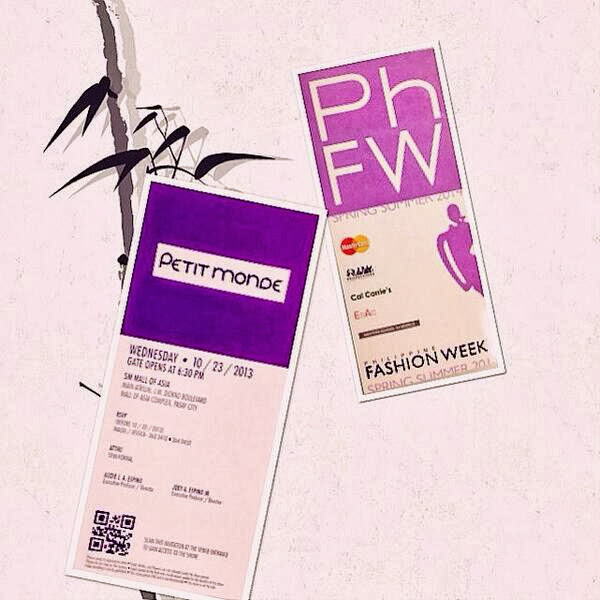 For a minimum purchase of P2000 at any Petit Monde boutique, shoppers get one (1) free ticket to the fashion show. Continuing in Petit Monde’s reputation for stylish, trendy, chic apparel, the new collection promises to excite Filipina fashionistas. With its inclusion in Fashion Week, Petit Monde takes another step in redefining the wardrobe of stylish Filipina women. The brainchild of sisters Carolyn Tan Chong and Dorothy Tan Tionson, Petit Monde has been dressing up stylish, young Filipina women for over two decades now. Pioneering the use of young showbiz icons as endorsers, Petit Monde has welcomed many fashionable and wholesome young stars in its roster over the years, including Carmina Villaroel, Ana Roces, Sunshine Cruz, Cheska Garcia, Jodi Sta. Maria, Angel Locsin, Anne Curtis, Carmen Soo, Melissa Ricks, and Maja Salvador. The brand has also grown with its market, going from colorful tees and jeans for teens in the 90’s, to its extensive fashion line today, which includes apparel for young adults to chic yuppies, as well as shoes, bags, accessories and fragrance. For more information, visit Petit Monde boutiques, log on to www.petitmonde.com.ph or follow Petit Monde on Twitter. Penshoppe is Launching their Bright and Bold Spring/Summer 2014 Collection! And I'm giving away 5 passes to the PENSHOPPE PFW fashion show! NOTE: One ticket admits only one person. The five winners will be announced on or before Oct 25 in this blog and my Twitter account. Winners may present their IDs to claim their tickets at the media registration area on the day of the fashion show. Good luck! Giordano debuts on the runways of Philippine Fashion Week! This Saturday, October 26, 2013 at the SM Mall of Asia Main Atrium, Giordano’s new collections – Holiday Cruise and Linen Story will bring some fresh summer vibe on the catwalk with 85 looks featuring nautical elements, updated chambrays, summer linens, oxfords in crisp pastel palette and an array of colorful basics. Live beats provided by DJ Callum David, a.k.a. DJ Vinimal will set the show sailing on a breezy summer cruise. A pop-up exhibit, open from 12 noon until 9 in the evening, will give the guests sweet discounts. I hope i win,, i want to experience a fashion show! n see those ladies on stage with their amazing and stunning outfits! good luck everyone! I never been to a fashion show and hopefully I will able to attend one. Thank you so much for this wonderful opportunity Miss Ana.